High-performing irregular algorithms are typically implemented using simple operations and conventional control structures. In addition, due to today’s compilers inability to manipulate these implementations, program tuning must usually be done by hand. Better notations and automatic optimization would help improve programmer productivity, portability, and maintainability. This talk will review high level notation proposals for the description of irregular algorithms, as well as compiler and autotuning techniques for the optimization of these algorithms. A short discussion of open research problems and necessary conditions for adoption of these more advanced notations and strategies will conclude the presentation. David Padua is the Donald Biggar Willet Professor of engineering at the University of Illinois, where he has been a faculty member since 1985. His has done research in parallel computing, autotuning, and compilers and has published more than 170 papers in these areas. 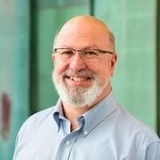 He has participated in the organization of more than 70 conferences and workshops and served on the editorial board of ACM TOPLAS, JPDC, IEEE TPDS, and IJPP and as Editor in Chief of the Encyclopedia of Parallel Computing (Springer‐Verlag). He is a fellow of the IEEE and the ACM and the recipient of the 2015 IEEE Computer Society Harry H. Goode Award. In 2017, he received a doctorate honoris cause from the University of Valladolid in Spain.